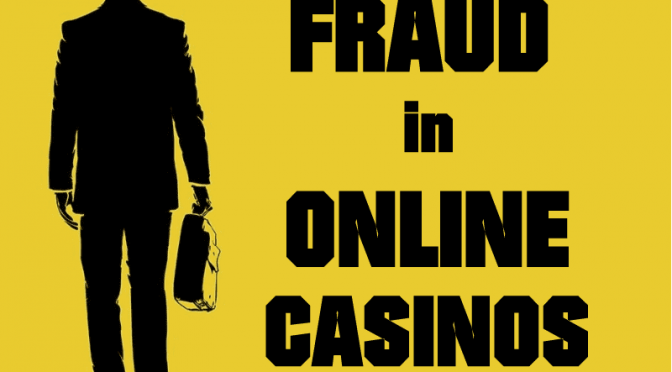 Before examining fraudulent practices where, somehow, the online casino is found, I’ like to make a caveat: not all virtual gambling establishments are “scams”. There are a lot of reliable (licensed! ), time-tested and rule-based resources on the web. Nevertheless, taking into account the specificity of gambling, this trend couldn’t but attract the perpetrators. So, with promising mind-blowing jackpots, fair play, bonuses, magic systems, etc., crooks have launched an extensive range of activities (ads everywhere!) for stultification of the Internet users. This is a common method of “pranking”, although recently it’s a little less common than fake and corrupt casino streamers, such as CasinoDaddy. Usually, the user is told about some extremely high probability of winning. In fact: at best, they play “one-way track”, as they say, at worst – the player loses his money immediately without his pleasure of “pressing the buttons”. Other scenarios are possible: for example, paid registration (the top of cynicism! ), or just the banal non-payment of the money won. Notice that crooks can hide behind the addresses (names) of real casinos: they say, the game is played on some well-known resource (with a good reputation! ), but the registration procedure should be made on another web-site. There are also cases of creating of exact copies – clones of popular gaming portals. In such an event, the name of a fraudulent web-site, as a rule, is consonant with the original one, but it is still different – for example, a missing or superfluous letter. Be attentive! A distinctive feature of most fake online casinos is poor design and minimal content. This is because the perpetrators are sure, that such a web-site won’t “swim” for a long time, and they don’t see the point to invest money in its development. If you are on a resource that looks cheap, and has very little information – only a description of the remarkable perspectives and the instruction “How to recharge the balance”, most likely it is a question of fraud. The next thing you should pay attention to is the methods of input / withdrawal of funds. If the casino is limited with electronic payment systems only (Webmoney, Yandex, Money, etc. ), so this is an alarm bell. Any decent casino provides its users with information about the license, scans of certificates, etc. Take the time to check the availability of such data, and also to verify their veracity. Win-win methods of beating the casino. For more information on who distributes these magic methods, for what purpose, and why they never work, you can find out by clicking on the following link – from the example of Martingale system. To learn more, you’ll be offered to pay money. You will be allegedly presented with a piece of “secret” information, and the affiliate link alongside. Further, when in the game resource (not necessarily fraudulent! ), you’ll make sure that there is no any hole … And the author of the announcement gets a bonus from the casino. Usually, within the affiliate program, a percentage (20% -50% or more) of the losing (!!!) of the invited users is paid. Bonuses. Online casino ads often emphasize the bonus program. For instance, a bonus of + 300% on the first deposit. What does it mean? Well, definitely not that with betting 100 dollars, you can immediately withdraw 400 … You need to win the bonus back, risking with your hard-earned money! Demo game. It should be understood that play for fun and play for real money are two very different things. When studying casino and playing demo games, it might appear that you are definitely lucky today or that the chosen strategy works perfectly… Keep in mind, it’s hard to lose in a free mode. P.S. Don’t be naive and credulous. Play only in tested online casinos, or better still, don’t play at all … You’ll keep your money, nerves and health! I’ve lost all my money in casino. What to do?